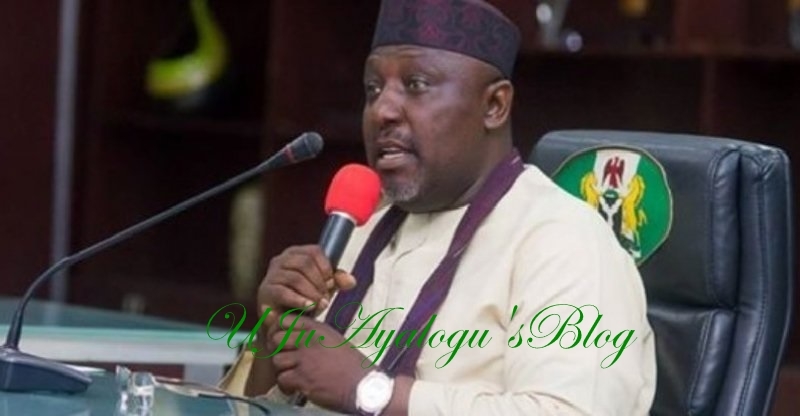 The Imo State Governor, Rochas Okorocha, has spoken on his battle with some Imo elites. Okorocha, who doubles as Chairman of the All Progressives Congress, APC, Governors Forum told State House correspondents on Tuesday that the fight was all about the state treasury. He said some politicians wanted him to share money, which he had refused. His words: “The issue of reconciling with the elites is a very difficult one and the more you reconcile you either not to give up or you reconcile because what they want you cannot afford to give them. “The elites want you to give them the local government so that the money that comes from the local government, they take it that is the reconciliation they want. “The elites will want you to give them the contract of the entire state budget. The elites will want you to pay their medical bills in their hundreds of millions. “The elites want to be in power and then do whatever they want to do with the treasury of the state.